K is a first grader this year. Time flies! E is going into kindergarten and I can already feel a mommy meltdown coming because her preschool years zipped by. 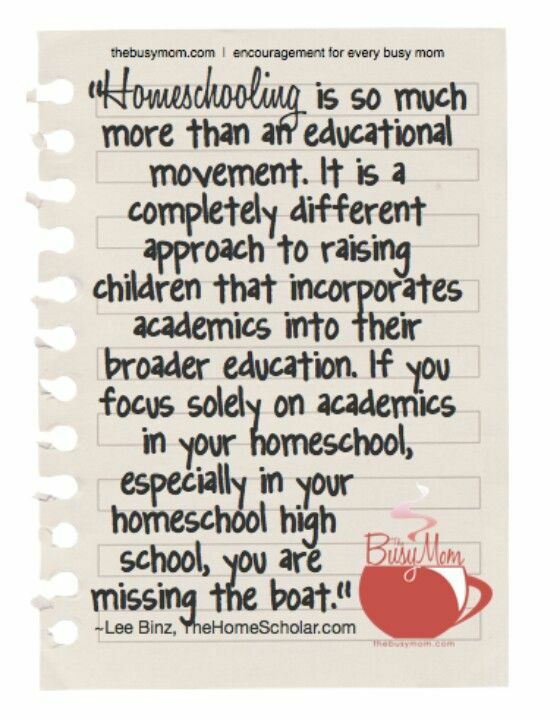 We are a homeschool family, and I thought I'd share my rambling thoughts on my plans and curriculum choices for the 2014-15 school year. K really struggled with school last year. She didn't enjoy it. She learned to read, and reads well, which was my top priority for kindergarten. But I failed to spark a love of learning. I'm going to fix that this year. This is going to be a year of FUN. I'm relaxing our schedule and lightening our workload to focus on reading and projects and field trips. I love the Charlotte Mason method and I'm incorporating a lot of more of those techniques this year and I think it will refresh our home school. Bible: we're studying ancient history this year, so we'll be following along with that timeline and do an overview of the Bible. Our first semester will be Old Testament (while we study early civilizations and ancient Egypt) and our second semester will be New Testament (during Ancient Greece and Rome). I'm planning on reading stories straight from the Bible or possibly our children's Bible, then doing 1-2 discussion/application questions. 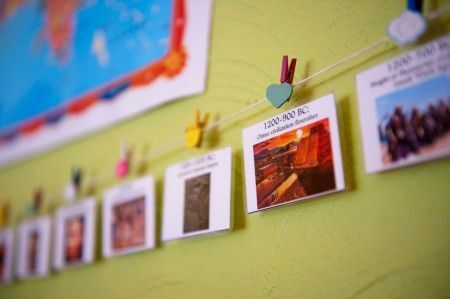 We'll also reinforce our church's weekly memory verse at home. Literature and Poetry: we're reading through the Little House series right now, and we'll probably move on to individual books like Charlotte's Web next. I'm saving The Chronicles of Narnia for our medieval study next year! 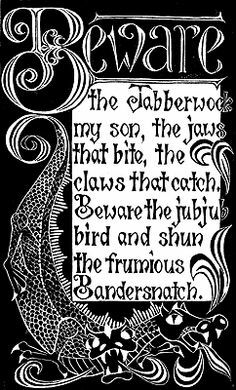 I haven't finalized our poetry yet but I think "The Jabberwock" from Alice in Wonderland will be first! I memorized it in high school and it is so fun. Science: we bought the Exploration Education elementary science curriculum at the THSC convention, but I think it's going to be fairly light. There are 36 lessons to be done once a week. To supplement, K and E will take turns picking experiments to do every other week or so. The girls are going to keep nature study journals and I'm going to plan a few trips to local nature preserves and arboriums. K specifically requested that we learn about spiders (?) this year so we'll start with that. Music: we're studying Mozart, Tchaikovsky, and Wagner this year. They'll listen to a concerto or two while they color or do their chores. I'll remind them of who the composer is. Music study is not about facts or memorization or technique. It's about appreciating a masterpiece! I'm timing it so we can listen to the Nutcracker Suite during November and December. Social Studies: We're starting a 4 year history cycle that I hope to continue all the way through their senior years. I'm basing our study off Story of the World volume 1. I have the SotW activity book and Usborne's Encyclopedia of World History as well. We'll read a chapter from SotW, and I'll have the kiddos narrate back what they heard. We'll read what Usborne has on the topic, and do an activity or craft. We'll find the region we're discussing on our globe or a map. Lastly we'll add people/events to our timeline. Art Appreciation: we're studying Claude Monet, M.C. Escher (a favorite of Dane's and mine), and Georgia O'Keefe. I really wanted at least one female artist! Next year we're starting with Mary Cassatt. Picture study is as simple as music study: introduce a picture (Literally just introduce it. 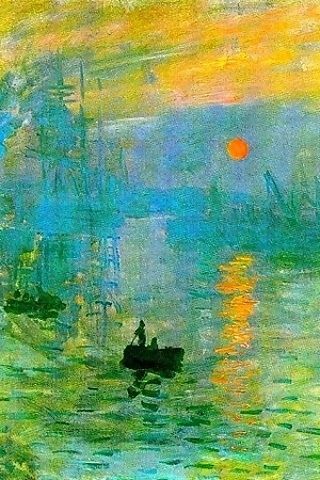 Say, "This is Monet's Impression Sunrise.") and then, uh, look at it. Maybe flip it over and see how many details you can remember, then flip it back over to check your memory. Then display it by the school table until next week. Do one painting once a week for 12 weeks, then move on to the next artist. Yep. That's it. At some point during the semester read kid friendly (!!) biographies of each artist (and composer) that you study. There's a Monet exhibit coming to town this fall so we are definitely going to check that out! Handicrafts: I am SO not that mom. You know what I mean. 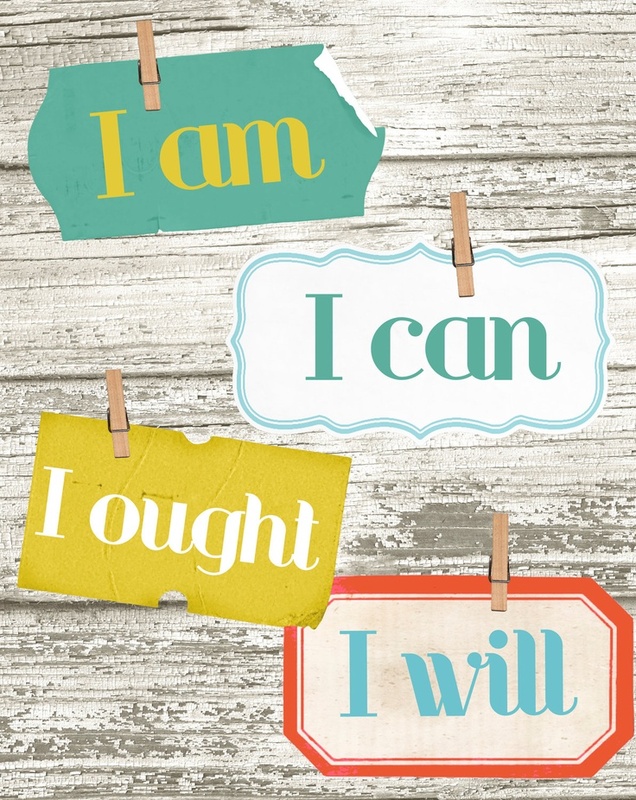 But I am incorporating more crafting into our homeschool for my creative work loving girls. I'm introducing them to weaving, sculpting, stamp making/stamping, flower arranging, latch hooking, gardening, and hopefully more. We will probably try to imitate Monet, Escher, and O'Keefe's styles and do some painting as well. Foreign language: we're going to Germany at the end of the summer, so if that sparks an interest in the language we'll run with it. They're already learning Spanish, simply from living in Houston and being around it, and I'm going to be more intentional about encouraging Spanish flash card/apps/book use. P.E./extracurricular: K is old enough for a local homeschool sports day that meets a couple of times a month, and they'll both continue in dance classes. They'll do English and math separately. It's actually really nice to have them separate for a while so they can do their chores and do solo projects. Being homeschooled, we are together A LOT and we need alone time as much as we need time together! K reads fluently and smoothly, so we'll polish with Explode the Code books 4-6 and begin some light copy work using either our memory verses or whatever poem we're reading. We might do Beyond the Code 1-3 but I don't want to force the grammar thing too soon. She's doing Saxon 1 math which is by far our most formal subject this year. I'm a little intimidated! E will follow the same approach to learn to read that we used for K last year. We'll read through Teach Your Child to Read in 100 Easy Lessons, along with Explode the Code books A-C and 1-3. She is actually already reading a little so I think she'll pick it up swiftly. She's doing Saxon K for math. I didn't do a formal math curriculum for K, but E LOVES worksheets so I think she'll enjoy Saxon. If it's a struggle we'll take it slowly or drop it all together. I believe that the first six-ish years of life should be about unstructured learning and fun! This looks like an intense regimen when I have it all typed out like that! But we're not doing each subject every day, and my teaching style is super relaxed. I think we'll learn a lot and have a ton of fun. We'll do Bible, literature, and individual subjects every day. Family subjects are each done once a week. Monday: I'll be at work all day! Dane homeschools on Mondays, because he is amazing. He'll do daily work (Bible, literature, English, and math) and science! Daily work is accompplished by reading a Bible story aloud and discussing it with the girls, reading a chapter or two out of our current literature selection, supervising Explode the Code worksheets, teaching a math lesson, and reading a lesson from the phonics book to E.
Tuesday: Yep, I'm working again. Super dad is in charge. He'll walk them through their daily work and music. That afternoon when I get home from work I'll take them to their ballet/tap class. Wednesday: Ok, ok, I guess I'll help with this whole home education deal. Daily work followed by history! I'm so excited about history this year. Thursday: I'm teaching and we'll do daily work and art appreciation! This is also our errand day, so a trip to the grocery store and the library are built in to our week. 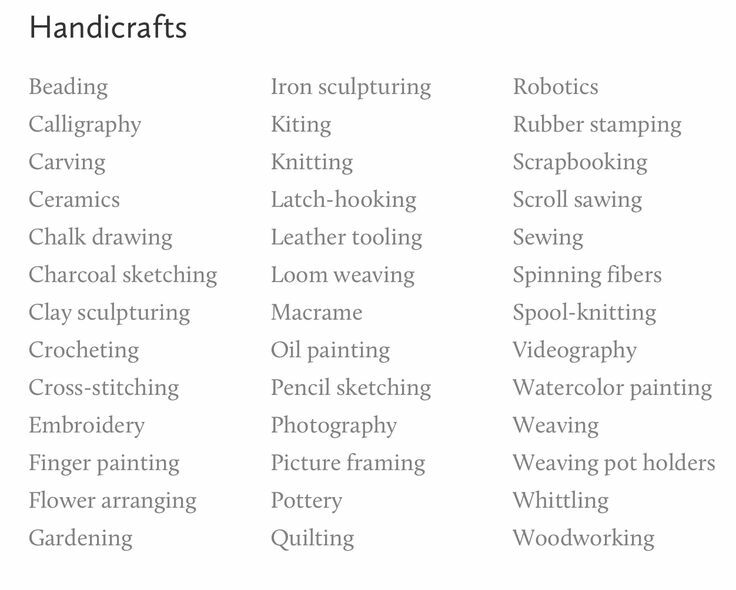 Friday: I'm on deck for daily work, handicrafts and foreign language, plus any catch up work. Some weeks we are doubling up on history chapters so we may need to finish up on Fridays. Every other week K will go to Sports Day. Saturday: traditionally our yardwork/laundry day, we're usually busy around the house getting ready for a day of rest followed by a new week on Saturdays. Sunday: church and rest. Sunday afternoons are sacred and I guard that time zealously. It's the only set in stone nap time I have so I'm pretty serious about it! Now, as a homeschool graduate and a homeschool mom beginning my fourth year of teaching at home, I know that curriculum and schedule planning usually gets tweaked - or thrown out entirely - at some point each year. But I'm going to indulge in imagining a typical day. I will probably look back on this in a couple of months and giggle. During the summer I'm a slacker, but when school begins I'm better about rising early and spending time in the Word - with the help of a cup or two or three of coffee. I've participated in the Hello Mornings challenge studies for years, so that's probably what I'll do this fall. If I finish my Bible study and prayer time before a kid joins me, I take this time to meal plan, go over the calendar, and catch up on email. << This is a realistic dream sequence, since this actually happens every year. Yay! Ember is a morning person and wakes up super early, so I'm going to try to have her tackle English and math while I make breakfast. By then the other kids will be up. I may see how effective it is to read their Bible story and a chapter or two from Little House while they eat. Otherwise we'll pile on the couch or my bed to read. Afterwards, E can do her chores and play with Evs while I do English and math with K. Then we'll all do our family subject together. A personal resolution of mine is to always have school work done by lunch time. School for hours on end? Ain't nobody no homeschool family got time for that! So that's my Charlotte-Mason-ish, bookworm, reach-for-the-classical-education-stars school year plan. Wheee! We love our children's Bible - The Jesus Storybook Bible: Every Story Whispers His Name - so much, in fact, that it's falling apart from so much use and we'll need to buy a second copy soon!